The most amazing breakfast ever! 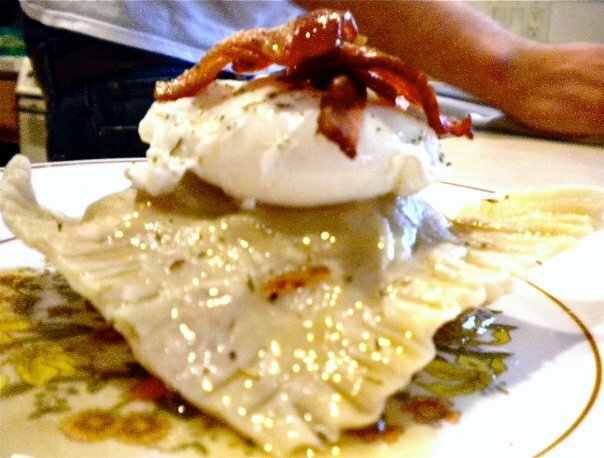 Ravioli filled with artichokes, brie and blanched spinach topped with a poached egg, apple wood smoked bacon and a sage brown butter. To die for!